Content for briefs is selected from e-mail submissions to Community Editor Amy Edgett at aedgett@sierrasun.com. Sustainable business leaders, entrepreneurs, active residents, acclaimed writers and science gurus will gather for Sierra Business Council’s 20th Anniversary Conference “Peak Innovation – The Next 20 Years” at Granlibakken in Tahoe City, Oct. 8-10. Peak Innovation brings together thought leaders and practitioners who are designing and implementing cutting-edge solutions to challenging social and environmental issues. Leaders from Patagonia, The Burning Man Project, Interfaith Power and Light and Center for Rural Entrepreneurship are among the diverse featured panelists. NY Times best-selling author Van Jones will speak and celebrated writer Terry Tempest Williams will be interviewed. In addition, optional pre-conference skill building workshops, hikes and tours are offered. Cost is $499 through Aug. 15 including meals, on Aug. 16 price increases by $100. Visit SierraBusiness.org or call 530-582-4800. 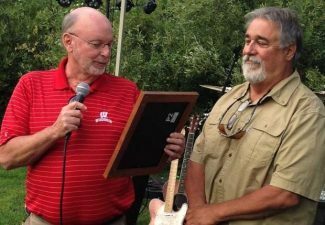 The Truckee Donner Chamber of Commerce Knowledge Bites Series focuses on specific business topic. The Aug. 20 Knowledge Bites will focus on Taking your business to the next level — turning strategic thinking into revenue enhancing product lines. The case studies will be W&T Graphix, and The Sports Exchange. Expert assessments will be provided by Pam Hobday of Pamela Hurt Associates and Lisa Toutant of ELTE, Inc. Knowledge Bites will be held 8:30-10 a.m. at the Truckee Airport, 10356 Truckee Airport Road. Cost to attend is $10 for chamber members and $20 for non-members and includes light breakfast. Registration is required at http://www.TruckeeChamber.com. Attendance is limited to 30 people. Knowledge Bites presentations can be found at http://www.TruckeeChamber.com. For more information call 530-587-8808 or e-mail info@truckee.com. 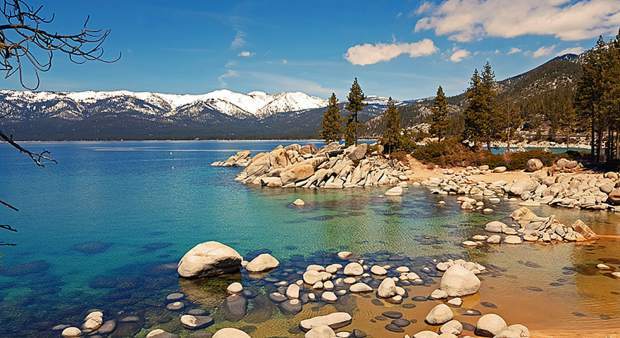 #PeakYourAdventure this summer around the mountains of North Lake Tahoe. While you’re out enjoying North Lake Tahoe’s numerous activities, restaurants, shops and incredible scenic views, take a photo — of you, your friends/family, the view, the food, event, whatever — with the hashtag #PeakYourAdventure on Twitter or Instagram to be entered to win a summer adventure package valued at $300. Visit http://www.facebook.com/LakeTahoeNorth. 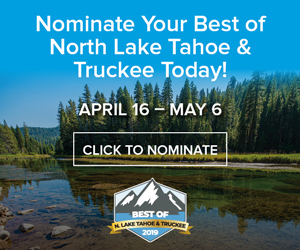 Part of the KBCCIP Open for Business Marketing Campaign North Tahoe Business Association is a contest designed to draw patrons into businesses during construction. The “We’re Open, You Win” contest will run through Sept. 17 and offers Kings Beach residents and visitors a chance to win $500 cash plus weekly prize packages. Enter to win the contest at 35 NTBA member restaurants, retailers and recreation outlets. Visit http://www.northtahoebusiness.org for more information and participating venues. For more information about the Open for Business Marketing Campaign or Contest, email joy@northtahoebusiness.org.